So, the Bahrain Grand Prix weekend has now passed. For all of Messrs Todt's and Ecclestone's public bombast on the issue, there will no doubt been small, private, sighs of relief from both that the F1 event itself passed broadly without disruption (joining many others in so doing). But it cannot be said that F1 came out of the weekend unscathed, as the sport continued its uncanny ignorance and/or ambivalence of how it's viewed more widely. Whatever the rights and wrongs of the Bahraini situation might be, F1, frankly, was made to look terrible it the course of the weekend. It featured on the front pages and at the top of news bulletins interspersed with coverage of Bahraini civil unrest and clashes, including the death of one protester (and the staging of an F1 race was clearly a focus for many protesting), as well as with stories of mainstream journalists being barred from the country and of others being arrested. The sport also appeared, whatever their protestations of being apolitical, rather like it was taking sides, and way too close to the Bahraini regime funding the event. The broad impression for those looking on was that F1 is amoral, avaricious and (helped by the flippant remarks of Bernie and of the world champion) rather insensitive to what's going on around it. Even though F1 made some money from holding the Bahrain race, the parallel damage of what you'd call F1's 'brand equity' is of course immeasurable, which in turn impacts the sport's ability to attract fans, media, sponsors and manufacturers. And it surely should have been seen coming from a long way off. 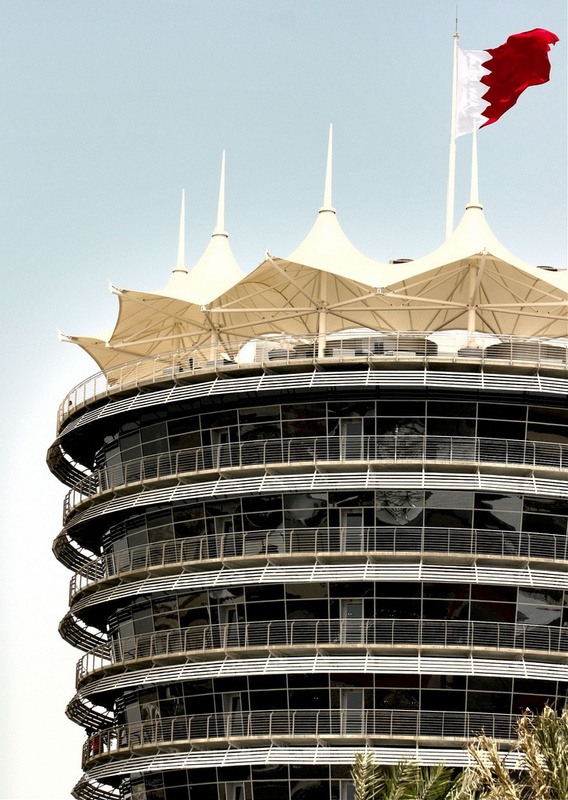 Even though some in and around F1 have been complaining that the media coverage has been terribly unfair and unrepresentative, not focusing on the local support for the race and the areas of calm in Bahrain, saying this betrays a breathtaking naivety of how the media work, as well as that, possibly, reflects that the F1 fraternity was kept inside a bubble for much of the weekend. So it all makes you wonder what exactly was in this for F1, and why the decison to call a halt was never made. Perhaps with bucks for Bernie and Middle Eastern FIA votes for Todt on offer they thought it was all worth it, perhaps also that it would be forgotten about soon enough. Perhaps (as Bernie said post hoc) they believed there's no such thing as bad publicity. But perhaps they just called it all very wrong. You wonder if they had their time again whether they'd make the same decision. a possible block to FOTA unity on Bahrain? Just as Sherlock Holmes in Silver Blaze noted the 'curious incident' of a dog not barking (because no stranger was present) to solve a mystery, many onlookers wondered aloud why none of the F1 participants raised objection to sport's haphazard path into the Bahrain Grand Prix weekend. If insiders are to be believed, plenty were expressing concern, and frankly, in private. For one thing, the experience of Force India being blacked out from much of the weekend's television feed coverage shed some light as to why many would have likely been reluctant to say or do anything 'off message'. For another, F1 is structured in such a way that makes it next to impossible for any one team (or even for a small number together) to act arbitrarily. The Concorde Agreement binds the teams to the FIA and FOM, and pulling out of even one race can be met with a $50m fine, and even exclusion from the championship. Further, those who run F1 teams are individualistic in nature, and invariably refuse to trust one and other. Their inability to work together for a common good, and to resist temptation to look for their own advantage, are legendary. A lot of this was at play when the teams' association FOTA splintered over the off-season. 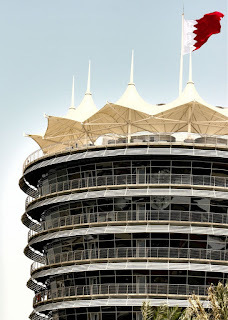 I did wonder whether this F1 in Bahrain situation would have played out differently had it still been hanging together. I always felt FOTA was a healthy counterbalance to the powers of Messrs Todt and Ecclestone over the sport, as well as seemed to have a much stronger sense of how F1 is viewed more widely. With this, had the 11 FOTA teams refused to attend the Bahrain round there's presumably little Bernie or Todt could have done. No one would have paid to watch two HRTs circulating around the Sakhir circuit. But would FOTA have refused? 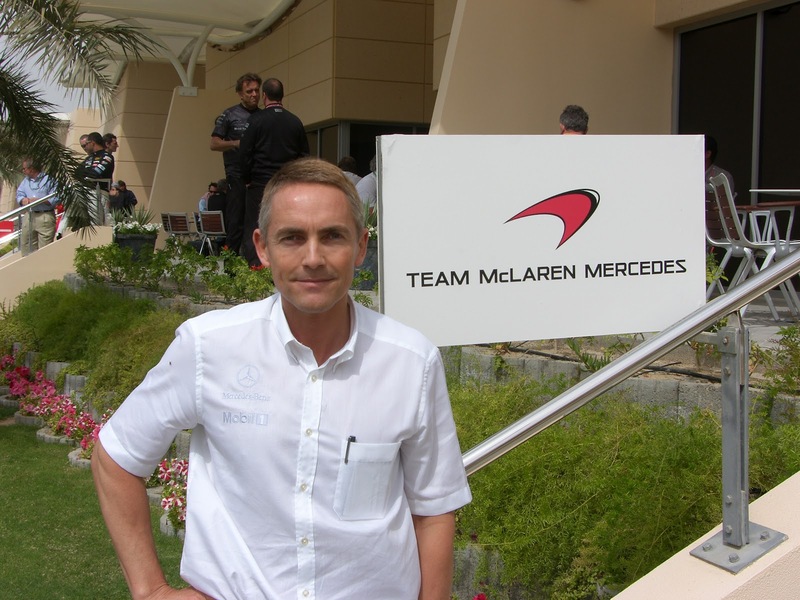 An elephant in the room would have been McLaren, major players in FOTA, and the fact that it is 50% owned by the investment arm of the Bahrain government. The Woking squad would have had lots of reasons not to go along with any move to pull out of the race. Indeed, if FOTA hadn't have splintered last winter, this Bahrain race may have caused it subsequently. Who said this? It was one Keke Rosberg, back in his days as an F1 driver. With that, you wonder what he would have made of his lad Nico's antics in the Bahrain race last Sunday. Yes, it didn't take F1 long to create on its own on-track controversy in Bahrain. 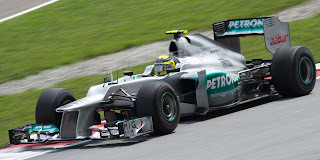 Twice in the race Rosberg swerved over the entire width of the track in seeking to keep a car behind, first with Lewis Hamilton (unsuccessfully), then with Fernando Alonso (successfully). Both moves looked dangerous, and but for the actions in avoidance (in Hamilton's case, going off the track) of the driver behind either easily could have resulted in carnage. It wasn't a surprise that the stewards investigated both incidents (albeit after the race). What was a surprise was that they then let Nico away with it. And their reasons for doing so were startling, stating that in both incidents Nico couldn't have known where the other car was (in that case, why swerve out there?) and that there was a large speed differential between the two cars (yes, and? And if nothing else it's a good reason not to move around). I feel that defensive moves which essentially give an opponent a choice of taking avoiding action or crashing are both crude and potentially lethal, and thus have no place in Formula 1 as I know it. And article 20.4 of the sporting regulations says: 'deliberate crowding of a car beyond the edge of the track or any other abnormal change of direction, are not permitted' (and has done since the start of 2011) yet I cannot recall a single instance of the rule being enforced. Nor can I think of a more quintessential example of it than what we saw from Rosberg (twice) in Bahrain. And I suspect that, generally (i.e not just Rosberg), drivers are becoming complacent in the extent that they're pushing the envelope wheel-to-wheel. While I'm a fan in the main of stewards butting out, I'd rather penalties deterred those sort of stunts now than waiting for the worst to happen for the same end. 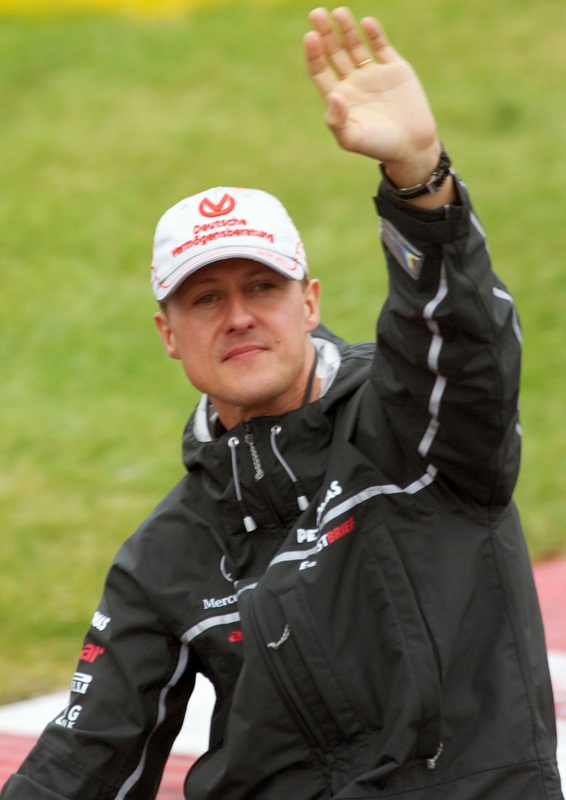 Michael Schumacher has many talents: that he has won seven world championships and 91 Grands Prix underlines that in thick black lines. However, knowledge of F1's history has never appeared to be one of them. He'd probably admit that himself; indeed I've heard him comment that in his formative days he hardly followed F1 at all, he was too busy karting. There may have been some of this at play in Schumi's comments after the Bahrain race on the subject of Pirelli tyres, that he: 'had to drive at a pace to manage the tyres to finish with tyres left over' and in particular when he said it was in his view 'not what a Formula 1 event should be'. For the most part of Schumacher's F1 career races have indeed been characterised by being a series of sprints. Frequent fuel stops and tyre changes, along with tyres that hardly degraded in their performance, ensured this. But before the 'refuelling era' F1 races usually had a strong endurance element, with managing tyres in a race a key part of the driver's skill set. And while races as a series of sprints may have been exciting for those participating, they were often less so for those watching on. For all that the lack of overtaking was wrestled with by F1 rule makers in recent times, a major factor that was hardly mentioned is that it is variation in cars' pace that results in overtaking. And the problem with races being a series of sprints is that pace variation, both within a race and between qualifying and the race, is massively diminished. And if the quickest guys start at the front of the grid and the slowest guys at the back and they all run to their maximum throughout we shouldn't be surprised that they just move apart from each other and thus not give us any passing. With the Pirelli tyres which, deliberately, are designed to degrade, we have to a large extent gone back to the F1 of the past, and the on-track entertainment we're being treated to now reflects this. Schumi may have had a point if he meant that consciously designing sub-optimum product is not in keeping what 'an F1 event should be'. But I'd rather defend that point than defend boring races. Some positivity to end with. When Schumi returned to the sport after three years away there was much anticipation that we'd get to see what we had thought we'd never: namely wheel-to-wheel battles featuring him versus the 'new generation', Hamilton, Vettel and the like. For various reasons we've almost never seen these up until now, but F1's other comeback kid, Kimi Raikkonen, gave use exactly that in Bahrain in just his fourth race back. Seeing Kimi perform just like it was old times was probably the high point of the Bahrain Grand Prix. One could barely see the join between Kimi's race on Sunday and him performing at his very peak back in his McLaren days. It seems odd to think that, just a few weeks ago, many had severe doubts of the wisdom of Lotus offering Kimi a way back into the sport this year, many pointing to his apparently wavering motivation in his Ferrari days, and perhaps having their views coloured by Schumi's relative comeback struggles. But Kimi's experience has been something else entirely: given access to a rapid machine and with a team that clearly revere him, we've seen three entirely respectable performances followed by one in Bahrain in which all of his considerable driving talent was on display. 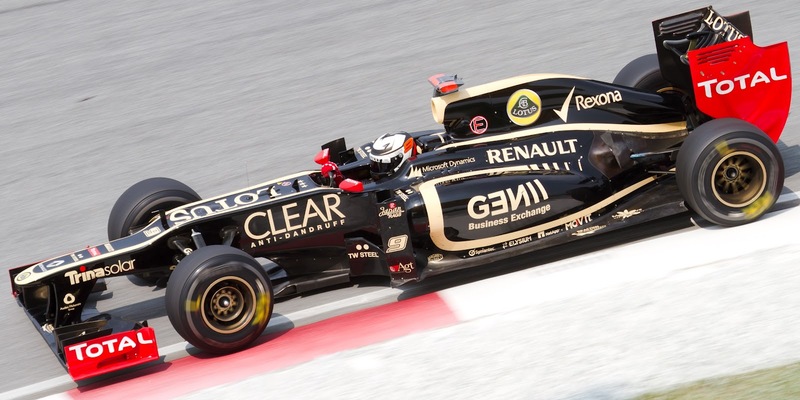 And if anyone can jump into an F1 car and take it to its maximum in no time it's Kimi. His is a freakish, instinctive talent, and he was never one that required a lot of practice and refinement to set quick lap times. There are many good things about F1 in 2012. Kimi being back to where he belongs is one of them. This is great stuff mate, got yourself another follower (another huge F1 fan). Whilst I don't have the dedication like you do, I do try and talk about F1 on my blog every now and again. Thanks very much for the kind words! Very nice of you to say so, very glad you like the blog. I'll check out your blog too. Yes, the Bahrain GP was a good one, and I'm loving F1 in 2012. It's great to see a tight field and unusual front-runners. It's about time we saw it too! Indeed. 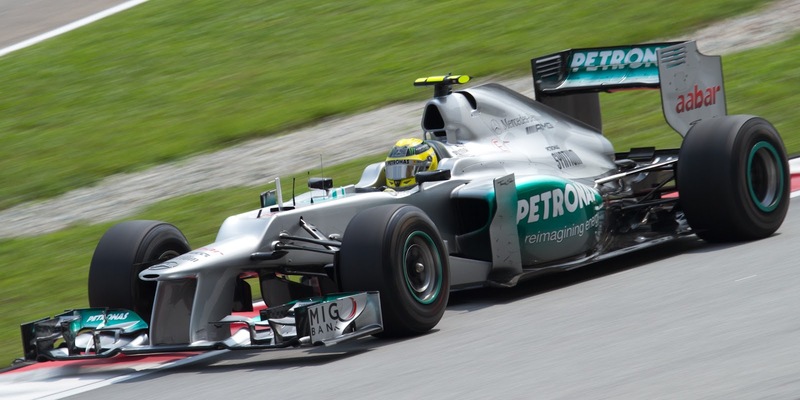 2011 was great, as F1 always is, but when anyone dominates it gets tiresome. Still good to see someone so young do so well; even if he is German! Can't wait for Barcelona, hopefully Vettel's win in Bahrain means he won't steal a march on the rest of the field. I'd like to see the Lotus' win! What a story that would be.